I could get used to this. On Saturday I boarded an early train to Paddington with A Prayer for Owen Meany. I made sure it was a stopper train so that I might be able to finish this hefty tome by 10am! I arrived at Tottenham Court Road station with the Kindle informing me that I was 90% through. With 628 pages though, this was not as "nearly finished" in terms of reading time that you might expect. 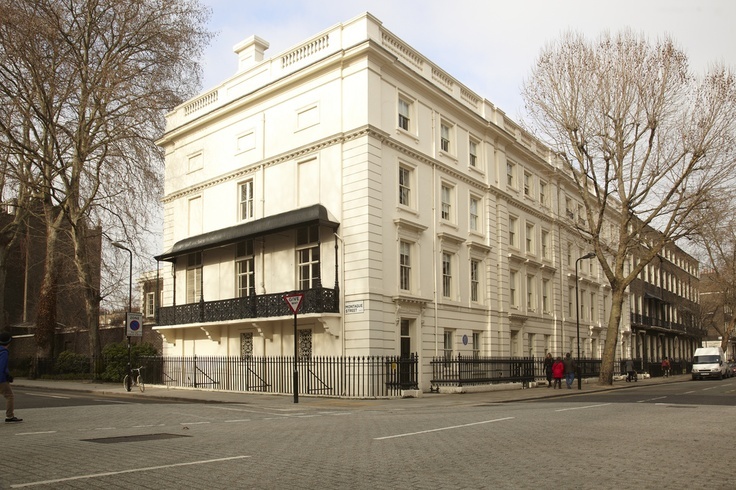 I located the rather swanky address on Great Russell Street where I was headed, and then sat on a nearby chilly park bench amongst crocuses and daffodils to consume as much of the final chapter as I could rattle through at high speed. Why the need to complete? Not just my resolution to read far more books this year, but a recommendation that the novel be part of the pre-reading for a writing course I was enrolled in at the Faber Academy. I was very excited to be in a publishing house at all, but one in the heart of London's Bloomsbury was even better. We were directed up to the top floor of the grand white building, (a blue plaque opposite stated that some of the houses on this road formed part of the first architectural project of the great John Nash)! The room was light, airy and was peppered with literature. Books lined one of the longer walls, whilst scatter cushions depicting the names of some of the great authors and poets published by Faber and Faber adorned the floor space. Just an aside...did you know that there was only ever one Faber? Faber and Gwyer were publishers of mainly medical texts before the two parties went their separate ways. Geoffrey Faber liked the double name and so repeated his own as he developed his wider publishing enterprise. Fact of the day! So I am sad to say that Owen Meany was not fully complete by the time I settled into my place, but it was tantalisingly close! The course was run by Shelley Harris, author of Jubilee and her latest book, Vigilante. She was a down-to-earth leader and her humour, teaching, encouragement and advice made for an inspiring day. She might have even convinced me that there could be a novel lurking behind my short stories ....but maybe not until year 12 and 13 have done their summer A Level papers! After a morning of plotting techniques, I experienced an hour of Karen-bliss. 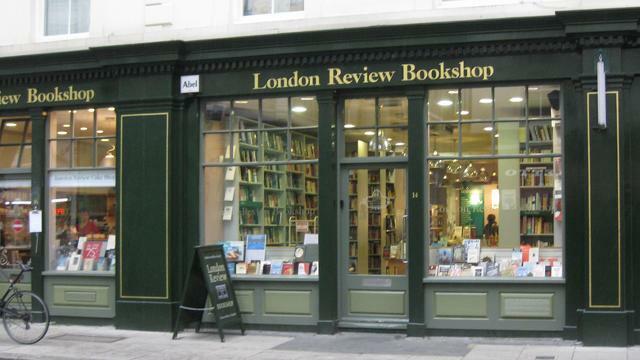 I headed to the London Review Bookshop and cafe. It is a delightful place. Floor to ceiling books, books on tables, books on stands and people reading on squashy settees. This literati joy was extended further by a "bijou cafe" selling all variety of teas and homemade cakes. I tucked into my blue cheese, pancetta, dried orange and walnut baguette (get me!) and sipped from my loose leaf Indian breakfast tea whilst Owen Meany was propped up and completed just in time for the afternoon session. And so to emerge from this state of civilised relaxation and turn my attention to that little man. 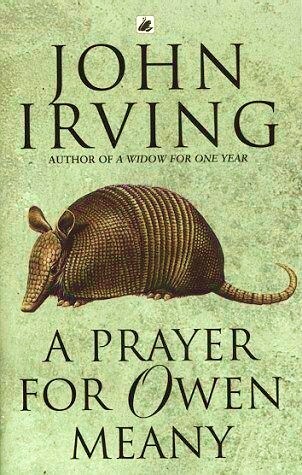 Owen Meany is the subject of this novel, though it is narrated by his best friend John Wheelwright. Owen is defined by his oddities. He is diminutive, reaching only five foot at his full height, and he has a voice that is characterised by capital letters. This graphology represents a high pitched tone that has little depth or gradation. It is what everyone notices about Owen Meany, and it is something that he believes he has been given by God for a purpose. And it is this sense of purpose that holds the narrative force of the book. Owen is special. He is regarded as such by his peers, by his family and by teachers and Sunday School leaders alike. He is set apart by his size and his voice. His friendship with John Wheelwright is committed. Owen is constructed as a formidable character who compels others to conform to his will. This enables him to influence the casting of the nativity play and the production of A Christmas Carol, annually performed in Gravesend, New Hampshire. Both of these performances had a profound effect both on Owen, and on the plot as a whole. In the opening chapter, Owen hits a baseball that is so forceful it kills a spectator. That spectator is John Wheelwright's mother and Dan Needham's new wife. Owen is stricken. He loved Johnny's mother and he is consumed by grief and guilt. He processes the event by faith. He believes God used him as His instrument and thereafter he believes that hid life has a divine purpose. In the nativity play,he is cast as Jesus. This was the point at which my suspension of disbelief suffered an almost fatal blow. He was aged about 11, and even though he was incredibly small for his age, I found this part of the novel tasteless and too incredible to be believed. With my eye on the course in Bloomsbury however, I ploughed on. And I'm afraid to say, as I know dearly loved friends believe this to be one of the best books of all time, ploughing is the best verb I can use for the completion of this novel. Owen Meany is weird. It is not until about 75% through (yes Kindle reading evident on this one) that the reader is allowed to understand why this may be so. Once you know, (and no spoilers) then everything else starts to fall into place, and my sympathy for him began to return. In my view however, Irving leaves readers too long in the mystery (or enigma as Shelley reliably informed me in the afternoon we spent considering plot devices) of Owen Meany. One of the driving hooks of the main plot (and there are several sub-plots going on throughout), is that Owen, whilst playing the ghost of Christmas Future, has a vision of the date of his own death. This, coupled with a recurring dream, convinces Owen that he knows the time and the circumstances of his own demise. Readers are left right until the final pages of the final chapter before it is resolved, but it is resolved well. There are however, some additional plot details of the final chapter that I found less than convincing. The family who are mourning the loss of their brother in Vietnam don't ring true for me, but they serve their function. If you want to know if he lives or dies, then you need to read the book, (or message me if you can't be bothered to give the 16+ hours of necessary reading time)! I have promised no spoilers in this blog, and I intend to keep my word. Do I think it was worth it? This is my second reading of the novel; the first time I took too long over it and it suffered the distorted lack of cohesion that slow reading can cause, but this time I completed the book in a week and I'm pretty sure that it won't get a third airing. As for my writing course...that is definitely an experience worth repeating! Current reading: We are Completely Beside Ourselves by Karen Joy Fowler. Blog to follow shortly.